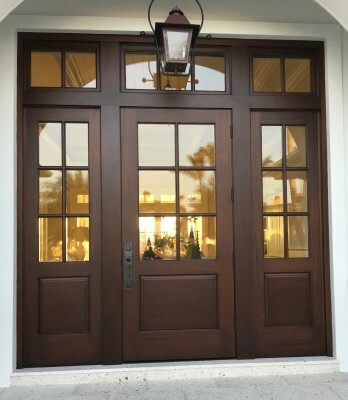 We start with kiln dried quality lumber and take it through the entire manufacturing process on an order basis to produce quality exterior and interior wood doors. Our sales representative and support staff are located right at our manufacturing plant. When you purchase our products from us, you have access to technical support from the people who design to the hands that make the doors. All our raised and shaker style panel, stile-and-rail are constructed and fabricated in our Tampa plant out of many different type of lumber. We do not import any parts or finish products from any other manufacturer. We chose this method of construction to ensure quality and accuracy of all our products that we producing. 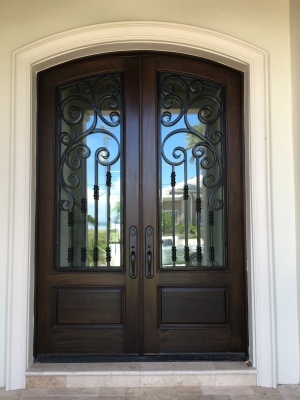 To complement your wood doors, we can provide additional decorative products such as clavos, strap hinges and wrought iron grills. Currently, we also offer solid wood interior casing as well as exterior mouldings in various profiles and width. Rustic wood doors and character grade doors in alder, pine, hickory, and maple are also available. 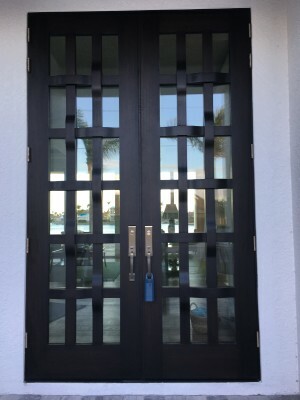 We can design and manufacture doors to your custom specifications.